Facebook’s long-rumored anonymous app is here, shattering common beliefs about what Facebook and anonymous apps are like. Rooms for iOS is a throwback to the Internet communities of old, when people used pseudonyms to comment but were as well-known as pub regulars. Rooms is clearly different from apps like Secret, Whisper, and Yik Yak. It’s more community-oriented than the current crop of anonymous apps, which are centered on the self: This is what I think. This is what I desire. Those missives aren’t conversation-starters, though comments are allowed. They’re one-way streets. Rooms has been compared to a mobile Reddit or just an anonymous version of Facebook, but the truth is that Rooms is too new to tell what kind of communities will congregate around it. Developer Josh Miller, who worked on the conversation service Branch before being acqui-hired by Facebook to build Rooms, said in a Thursday blog post that he learned from the successes and failures of popular apps and old-school Web forums and applied them to the new app. Rooms doesn't require account registration, so you be a new version of yourself in each room you join. Rooms stands on its own, foregoing all the ties to Facebook that would make it a breeze to add users. 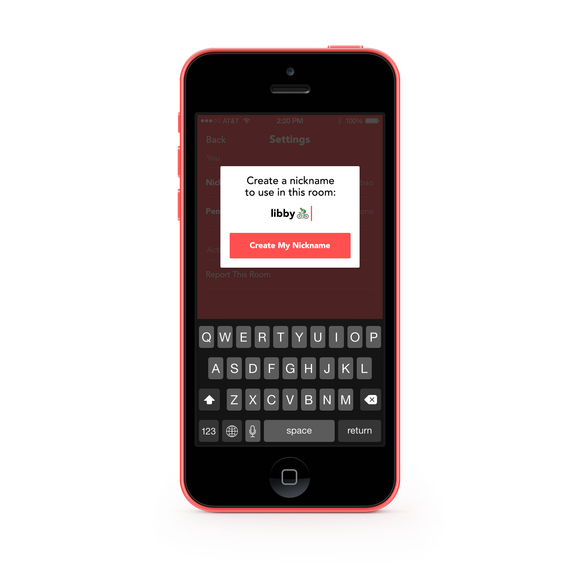 You don’t sign up with an email address—just pick a name and a password and start chatting. The names and passwords are throwaways for one-time use, but you can pick up the same name when you go to sign in again. You don’t import your Facebook friends list or phone contacts to find people. You don’t need to find people. You can bounce between multiple rooms, using a different name for each. The idea is to let you be yourself, a self that might have different names for different circumstances. The app is still working on room discovery because rooms aren’t automatically searchable. A room creator or moderator has to invite you to a room, and in a curious move, Rooms developer Miller chose QR codes as the best way to link to specific rooms. You can send the code to a friend or share it with your social networks. To join your room, people need to screenshot the code. Rooms has access to users' Camera Rolls, so when it detects that someone added a QR code screenshot the Camera Roll, the app will automatically send him or her to that room upon launching the app. It’s a little strange, but it’s also an innovative way to use QR codes. You can even print out and post a physical QR code in a public place. When people take photos of the code, the process will work just as if they took a screenshot. Many anonymous apps rely on users to flag objectionable content, but Facebook’s new app hands the keys over to room creators and their appointed moderators to watch out for inappropriate posts. Moderators can ban users, which seems tricky given that users don’t have to register for accounts and all pseudonyms are throwaways. According to TechCrunch, the ban is device-specific, so trolls can’t create burner accounts to return and harass people. All rooms are public, but room creators can choose whether their rooms are searchable and who can post. 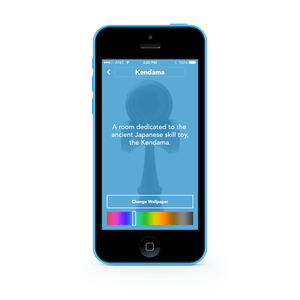 Room creators can customize their spaces with emoji and color schemes. Unlike the commenters on forums of yesteryear (and Reddit today), room creators can make themselves at home with color schemes, emojis, and other personalization tools. Room topics can be about anything and everything. Facebook’s great unbundling of the big blue app has seen some success, but there have also been complete flops. Instagram, WhatsApp, and Facebook Messenger continue to rack up new users, while ephemeral messaging apps Poke and Slingshot were dead on arrival. And as much as I love it, Facebook’s newsreader-meets-News Feed experiment Paper isn’t exactly a smash hit. (PSA: You can read Facebook messages in Paper without installing Messenger. Oh, and there are no ads. Why aren’t you using Paper?) But Facebook hasn’t pulled the plug on any of its Creative Labs experiments, giving them time to find their audience or falter. With the freedom to try new features and fail, Rooms can be exactly what users want it to be: a safe mobile chatroom far removed from Facebook.